Revitalise dry and damaged hair with the Macadamia Natural Oil Deep Repair Masque. Formulated with a combination of macadamia, argan, tea tree and chamomile oils, it provides deep and long-lasting nourishment to reconstruct your hair. 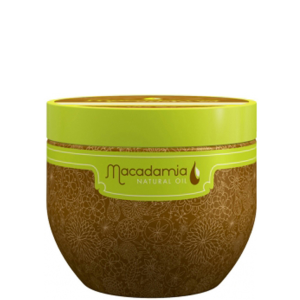 Paraben free, this intensive masque also contains aloe and algae extracts to improve elasticity and shine. For an ultra conditioning treatment, add a small amount of Macadamia Healing Oil Treatment to the Deep Repair Masque application. Leave in for 5 to 10 minutes to penetrate the cuticles of the hair.